A Câmara de Comércio Luso-Finlandesa em colaboração com a Câmara de Comércio Luso-Francesa, tem o prazer de vos convidar para o almoço debate com o convidado o Dr. João Gomes Cravinho, Ministro da Defesa Nacional. Esperamos que o evento seja do vosso melhores interesse. A Câmara de Comércio e Indústria Luso-Francesa tem o prazer de convidar todos os seus associados e amigos para um Almoço-debate no qual tem a honra de receber o Exmo. Senhor Dr. João Gomes Cravinho, Ministro da Defesa Nacional que irá realizar uma intervenção sobre as oportunidades do setor da defesa. Este evento é organizado pela Câmara de Comércio e Indústria Luso-Francesa em colaboração com as Câmaras de Comércio Luso-Belga-Luxemburguesa; Luso-Britânica e a ANJE. Agradecemos a indicação do nome da empresa e envio do justificativo de pagamento. After a period of somewhat day-to-day interrelation if compared to the “romantic wave” of the beginning of the 90ies, one might argue that the Baltics and Nordics are getting closer again. Finland joins Rail Baltica and a Finn becomes the CEO of RB Rail; Estonia, Finland and Latvia has agreed on a common gas market; the electricity market between the Baltics and Nordics is in place already. Could these new circumstances give a positive boost to the economic relations between Finland and Latvia? Could the objective of the new Latvian government to continue moving steadily to a higher value added economy and proceed with several hard reforms be a helpful driver? What about the perspective and priorities of the Finnish economy? We wish you warmly welcome to this event to exchange views on the perspectives of the deepening Latvian and Finnish economic cooperation. The event is organised by the Embassy of Latvia in cooperation with Investment and Development Agency of Latvia, Finnish-Latvian Business Association, Helsinki Region Chamber of Commerce, Business Finland and Enterprise Europe Network. The Chamber of Commerce Finland-Switzerland: Digital Trust – Threat or Opportunity? Digitalisation is a global trend shaping our society and business domains. As the world we know changes into an all connected environment we are facing not only opportunities but also fear and threats towards the digital unknown. Should we focus on threats or can we overcome those and instead look at the endless possibilities that lies in digital trust? Trust is vital. Focusing on cyber security and digital trust, and the opportunities, models and collaboration, our keynote speakers will highlight most interesting trends and we encourage you to have an open discussion. The Chamber of Commerce Finland-Switzerland and Netox Oy invite you to discuss the challenges and possibilities of cyber security, to share your insights, and to network. Welcome to our Breakfast of Trust! La Chambre de Commerce Franco-Finlandaise a le grand plaisir de vous inviter au Déjeuner d'affaires du mois de mars. Le déjeuner aura lieu exceptionnellement le jeudi 28 mars à 12h30 au Cercle Suédois. Inscrivez-vous à cet évènement par mail à l'adresse : contact@ccff.fr . Toute inscription ou annulation doit être faite au plus tard le mardi 26 mars. Veuillez noter que le nombre de places à cet évènement est limité. Les déjeuners d'affaires se déroulent le dernier vendredi du mois de 12h30 à 14h00 dans les locaux du Cercle Suédois. Ils vous permettent de rencontrer des entrepreneurs finlandais et français dans un cadre informel et convivial. Nous sommes heureux de vous compter parmi nos lecteurs, si néanmoins vous souhaitez ne plus recevoir nos actualités, pour vous désabonner cliquez ici. On March 20, the Happy Conference will take place in the Tivoli BBVA Theater in Lisbon and will host Tal Ben-Shahar as main speaker who will share with the audience a worldwide recognized program of leadership with a revolutionary model. As a member of Câmara de Comércio Luso-Finlandesa you get a 20% discount on the price table available at the ticketline, by introducing the following code: [XXXXXX]. The number of existing tickets its limited. - powerful tools, techniques and tactics to develop a more positive and meaningful leadership role in today’s world and become more productive, authentic, energetic, engaged, and yes, happy with work and life in general. You can take a peek at this great day by watching this very short video with Tal Ben-Shahar. Watch it now! With 10 years of presence in Portugal, the Happy Conference counts with more than 5000 participants over the past editions, and more than 250 national and worldwide companies. CEOs, Marketing Managers, Human Resources Managers, Innovations Managers, Entrepreneurs, Consultants, Psychologists, and many others, already have participated in this great conference. This year, the Happy Conference will count with 850 participants. The Happy Conference 2019 is also very proud to have Nova SBE as academic partner, and great companies as sponsors, namely: AKI, ANA Aeroportos, Deco-Proteste, Delta Cafés, EDP, Efacec, Farfetch, Fidelidade, Machrent, Midas, Park-IS, Randstad, Siemens, Sonae e Sport TV. More information at Happy Conference. We are counting on you for this very special day of intensive learning and coaching towards self-development and team empowerment. Nous avons le grand plaisir de vous annoncer que la Chambre de Commerce Franco-Finlandaise organisera une soirée-débat avec Monsieur Luc Ferry et Madame Jeannette Bougrab le jeudi 21 février à 18h30 au Cercle Suédois. Le débat sera modéré par Monsieur Jean-Pierre Beaudoin. En renouvelant tous nos vœux pour une année 2019 merveilleuse, la Chambre de Commerce Franco-Finlandaise a le grand plaisir de vous inviter au premier Déjeuner d'affaires mensuel de cette année. Le déjeuner aura lieu le vendredi 25 janvier à 12h30 au Cercle Suédois. Inscrivez-vous à cet événement par mail à l'adresse : contact@ccff.fr . Toute inscription ou annulation doit être faite au plus tard le mercredi 23 janvier. Veuillez noter que le nombre de places à cet événement est limité. It is a pleasure to invite you to celebrate Finland's 101 years of independence together with Embassy of Finland, Finnish Seamen’s Mission, and Vereniging Nederland-Finland on the 7th of December 2018 at the Zalmhuis Rotterdam. Quests shall enjoy an extensive Independence Day buffet at La Grande Salle, and the program of the evening will include various elements such as a speech by the new Ambassador, H.E. Mrs. Päivi Kaukoranta. Local Finnish Jazz Quartet will provide music for the evening. The dress code is free, but the Art Nouveau style in Het Zalmhuis might inspire you to dress in the same style. How to become your own wealth planner ? In November 2018, The French-Finnish Young Chamber Club has the pleasure to invite you to the workshop How to become your own wealth planner? The workshop takes place at the Finnish Embassy the 28th of November at 19h00. After the workshop we invite you to share a cocktail with the speakers of the evening. How to do your own financial planning? What are the concrete steps to start investing? What products should I invest in? What to do today to invest in my future? How to increase my wealth? How's my wealth expected to evolve during a 7-year period? The speakers of the evening are Niko Laine, freelance CFO and CEO of Laine Financial Consulting Ltd, and Jean-Bernand Mangiapan, Portfolio Manager at Crédit du Nord bank. The workshop will be in English with the possibility to ask questions also in French or Finnish. Facebook Event : JCC Workshop : How to become your own wealth planner ? You are not a member of the French-Finnish Young Chamber Club but you are interested in the subject of the event or our activities in general? This event is free of charge and open for everyone, please don't hesitate to invite your colleagues and friends. We kindly ask you to register for this event via our website latest on Thursday the 22nd of November. For all questions, you can contact us at info@ccff.asso.fr. You are most warmly welcome! 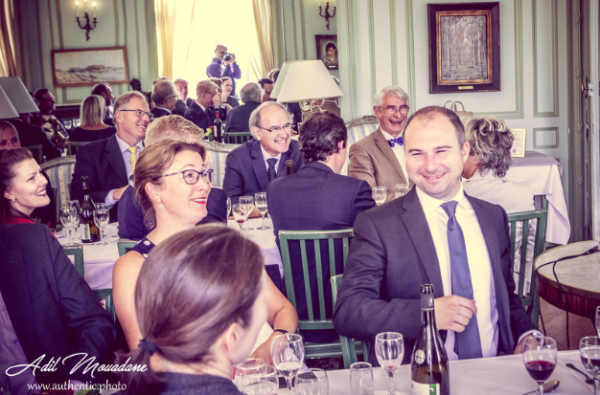 The French-Finnish Young Chamber Club (Jeune Chambre de Commerce Franco-Finlandaise) offers a platform for Young Professionals to meet and to move forward in their career. To receive all the information about JCC events, follow us on Facebook and on Twitter. Nous avons le grand plaisir de vous inviter au premier petit-déjeuner thématique de la série de quatre Petits-déjeuners de l'Arctique, organisée par la Chambre de Commerce Franco-Finlandaise et le Cluster Polaire Français, en collaboration avec l'Ambassade de Finlande et Team Finland. Le thème de ce premier petit-déjeuner est les Datacenters et il aura lieu le jeudi 8 novembre de 8h30 à 10h30 à l'Ambassade de Finlande à Paris. Quelles sont les particularités respectives des industries finlandaise, française et américaine des datacenters et comment peut-on tracer leur évolution ? Quels types de possibilités commerciales bilatérales existe-t-il autour du marché arctique des datacenters ? Trois acteurs français et finlandais du secteur concerné présenteront leurs activités et répondront à vos questions. L'événement est gratuit et ouvert à tous mais avec un nombre limité de places. Inscription obligatoire, pièce d'identité indispensable pour accéder à l'Ambassade. Toute inscription ou annulation doit être faite au plus tard le mardi 6 novembre. Espanja on suomalaisten suosima matkailukohde, mutta yhä useampi suomalainen harkitsee yrityksen perustamista tai on jo perustanut yrityksen Espanjaan. Seminaarin tavoitteena on välittää tietoutta Espanjan markkinoista ja niiden tarjoamista liiketoiminta­mah­dollisuuksista suomalaisille yrityksille. Samalla saamme tietoa siitä mitä yritysten tulee ottaa huomioon liike-elämässä ja vapaa-ajalla toimiessaan Espanjassa. Tilaisuuden järjestävät yhteistyössä Enterprise Europe Network, Helsingin seudun kauppa­ka­­­ma­­ri, Suomalais-Latinalaisamerikkalainen kauppayhdistys, Suomen Yrittäjät, Suomi-Espan­ja seura ry ja Team Finland. Tilaisuus on osallistujille maksuton, mutta ilmoittautu­mi­nen on välttämätöntä. Suomalaisyritysten tyypilliset sudenkuopat Espanjassa- ja miten ne voi välttää? Suunnitelmissa Espanja - urakaari vai elämänkaari? Seminaarin kieli on suomi lukuun ottamatta taloudellista katsausta ja päätössanoja. Ilmoittautuminen 2.11.2018 mennessä Lyyti-linkin kautta osoitteessa https://www.lyyti.in/Bienvenido_a_Espana_Tervetuloa_Espanjaan_5390. Nous avons le grand plaisir de vous inviter au Déjeuner d'affaires mensuel de la Chambre de Commerce Franco-Finlandaise. Le déjeuner de ce mois d'octobre aura lieu le vendredi 26 octobre à 12h30 au Cercle Suédois. Toute inscription ou annulation doit être faite au plus tard le mardi 23 octobre. Suomalainen business matkustaa Tatarstaniin lokakuussa! Suomalainen business näkyy ja kuuluu Tatarstanissa 17.-18.10.2018, kun järjestämme suuren suomalaisen yritystapahtuman Kazanissa Team Finland-vienninedistämismatkan yhteydessä. Suomalaisyrityksistä koostuvaa delegaatiota johtaa Suomen Moskovan-suurlähettiläs Mikko Hautala. A pedido do Exmo. Senhor Presidente da Câmara Municipal de Aveiro, junto um convite para um forum que espero seja do vosso melhor interesse. A Câmara Municipal de Aveiro vai realizar a edição 2018 do TECHDAYS | Fórum de Inovação e Tecnologia, num trabalho que conta com a coorganização da Universidade de Aveiro, do Instituto de Telecomunicações, da INOVARIA e de 10 Clusters Nacionais: Cluster Nacional TICE.PT | Cluster Habitat Sustentável | AIFF – Associação para a Competitividade da Indústria da Fileira Florestal | Fórum Oceano – Associação da Economia do MAR | Centro Tecnológico das Indústrias Têxtil e do Vestuário de Portugal|Portuguese Agrofood Cluster | Associação POOL-NET – Portuguese Tooling & Plastics Network | PRODUTECH - Associação para as Tecnologias de Produção Sustentável | Associação Cluster Portugal Mineral Resources | MOBINOV – Associação do Cluster Automóvel. O TECHDAYS é um evento que reforça a imagem de Portugal nas áreas da TECNOLOGIA e I&D e as projeta a uma escala regional, nacional e internacional, assumindo-se por isso, como uma plataforma que garante a criação de interfaces entre o mundo académico (universidades e institutos de I&D) e o mundo empresarial (associações, clusters e empresas), e onde a Inovação Tecnológica é o elemento agregador dos diferentes setores da economia nacional. Atendendo ao sucesso alcançado nas últimas 3 edições e aos temas em que estamos a trabalhar para o evento deste ano, nomeadamente: Industria 4.0, Economia Circular, Mobilidade, Talentos & Competências e Cidades Inteligentes, entendemos que seria muito relevante a v/ participação, à qual poderão juntar o convite a alguns dos v/ associados, pelo que junto vos envio o DOSSIER COMERCIAL do TECHDAYS 2018. Aproveitamos para informar que já temos confirmada a presença dos seguintes CITs: IT / INESC-TEC / CTIC / UNINOVA / ITECONS / ISQ / CTCV. Está ainda confirmada a presença de diversas entidades de relevante interesse, tais como: Altice Labs, Bosch, Veolia, ERSUC, Siemens, Fraunhofer Portugal, EDP Distribuição, Wavecom, AIRC, NEC, OLI, entre outras. Deixamos também informação sobre a edição de 2017: vídeo e vos convidamos a visitarem o renovado site do evento, onde poderá obter mais informações e a apresentação dos primeiros oradores. : www.techdays.pt . Teríamos, com compreenderá, muito gosto de contar igualmente com a vossa presença. Qualquer informação adicional sobre o evento poderá ser prestada pela equipa TECHDAYS através do e-mail: techdays@cm-aveiro.pt ou através dos contactos: 969 575 623 / 234 406 300 (Divisão de Desenvolvimento Económico e Empreendedorismo). E-mobility is on the verge of major expansion in Europe. Connected systems, renewable energy sources, storage and management as well as measuring are essential parts of its development, challenging both the public and private sectors. Finland and Switzerland rank amongst the leading countries in e-mobility and face similar challenges. What is currently going on? How can the two countries mutually benefit from each other in terms of research, test results and practical experience? Is there any opportunity to transfer know-how, co-operate, invest or sell? How to find the right contacts in the public or private sector? The Chamber of Commerce Finland-Switzerland, Greater Geneva Bern Area and the Finland Chamber of Commerce together with the Helsinki Chamber of Commerce, Enterprise Europe Network and Business Finland invite you to share and gather insights to the challenges and possibilities of cross-border business in e-mobility & energy knowhow, and to network. Mr. Albert Lehmann, Managing Director, SwissCharge.ch AG, the provider for an electric-vehicle charging system with 1,500 charging stations alone in Switzerland. PhD Jussi Palola, CEO, Virta Ltd., providing the software and applications behind Swiss Charge.ch. Mr. Paavo Ritala, Marketing Director, Ensto Oy, electric vehicle charging infrastructure and solutions (SwissCharge). Dr. François Vuille/tbc, Executive Director, Energy Center of Swiss Federal Institute of Technology (EPFL). Foster multidisciplinary research projects and networks to develop sustainable energy production, storage, transportation, distribution and end-use systems and technologies. Vincent Von Arx, Senior Manager, Department of Economic Affairs –Canton and Republic of Neuchâtel. Business cases: examples of co-developments in the world of the infinitely precise. Mr. Samuel Enggist, Senior Manager, Tiko Energy Solutions AG (formerly Swisscom Energy Solutions AG) develops solutions for the Swiss and international energy industry. Ms. Carmen Fankhauser, Deputy Director, Greater Geneva Bern area (GGBa). The GGBa is the official investment promotion agency for Western Switzerland. Its mission is to help international companies set up successful business operations in the region. N.N. / Gerrit van Setten, Member of the Board, Chamber of Commerce Finland-Switzerland. 18:30 Flying dinner and networking (until approx. 20:00). The event is in English and free of charge. No shows and late cancellations will be charged at 70 €. A pedido do AICEP, junto um convite para a participação num seminário que irá contar com a presenta do Primeiro Ministro da Finlândia, Juha Sipilä, a Portugal, organizado em colaboração com a Embaixada da Finlândia em Portugal. Para mais informações, queiram fazer o favor de contactar directamente o AICEP nos dados abaixo indicados. Por ocasião da visita do Primeiro Ministro da Finlândia, Juha Sipilä, a Portugal, a Embaixada da Finlândia em Portugal e a Business Finland, em colaboração com a AICEP, realizam o “Seminário Empresarial Portugal-Finlândia”, no dia 2 de outubro, no Tivoli Av. Liberdade nº185, em Lisboa. Este seminário conta com a presença do Primeiro Ministro da Finlândia, Juha Sipilä, e de representantes do governo português e estarão ainda presentes representantes da SITRA, um think tank Finlandês, e do VTT, Centro de investigação e tecnologia da Finlândia, que irão abordar as oportunidades de negócio e de desenvolvimento de sinergias no âmbito da “Economia Circular”. Uma comitiva de empresários finlandeses dos setores da Bioenergia, Florestas, Madeira e Inovação e Tratamento de águas residuais e circulação de água, interessados em estabelecer contactos B2B com empresas portuguesas, para avaliação de potenciais negócios recíprocos, estará também presente neste seminário. Mais informações e programa aqui. The weather is getting cooler, and the leaves of the trees are painting the scenery colorful. Our second newsletter of September is filled with our upcoming events from the Finnish Dutch Chamber of Commerce, as well as introductions of our three first committee members of the FDCC in Finland. Nous avons le grand plaisir de vous annoncer que nous organisons un déjeuner avec Monsieur Marcus Rantala le jeudi 27 septembre à 12h30 au Cercle Suédois. Notre invité nous parlera de l'avenir de la Finlande et des développements attendus à Helsinki, de sa vision sur l'Europe et la France. Quelles sont les possibilités pour une coopération plus profonde entre la France et la Finlande ? Le débat sera modéré par Monsieur Jean-Pierre Beaudoin. Marcus Rantala est un politicien finlandais qui fait partie du Conseil municipal de Helsinki où il représente le Parti du peuple suédois. Sa carrière lui a permis d'acquérir une large perspective sur la vie politique finlandaise : depuis 2001 il a été successivement Conseiller politique pour le gouvernement finlandais, Secrétaire d'État au Ministère de l'Education et de la Culture ainsi qu'au Ministère de la Défense. Il est actuellement associé chez Rud Pedersen Public Affairs Company. Dans l’attente de vous retrouver à cette occasion, nous vous souhaitons un très bel été, avec, bien sûr, des vacances bien méritées ! tätig, dessen Anforderungen NOKIAN zu erfüllen weiss. Referat auf Englisch, anschl. Diskussion. (inkl. Mittagessen/Getränke), für Nicht-Mitglieder 100 CHF. Bezahlung in bar oder via E-Banking. for Italy, Switzerland & Austria, Janne Kauppinen is responsible for a very demanding market area. He will deliver us insight into most recent developments. NB: speech in English, followed by Q&A. 17 th September 2018 via https://www.lyyti.fi/reg/business_lunch_nokian_tyres/en or e-mail to our office. The participating fee for members (including those of our partnering organisations) is 80 CHF (incl. food & beverages), for non-members it's 100 CHF each. Payment by cash or via e-banking. Handelskammer Finland-Schweiz / Kauppakamari Suomi-Sveitsi / Cham. of Comm. PS: Bitte nehmen Sie zur Kenntnis, dass bei unentschuldigtem Nichterscheinen die Teilnahmegebühr verrechnet wird. NB. Please note that in case of an unexcused non-attendance („no show“) the entire participation fee will be charged.